KNOXVILLE, TN – January is Radon Action Month in Tennessee. 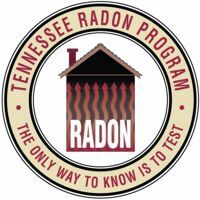 The Tennessee Department of Health has put together a wealth of information about radon and the impact it can have on the health of Tennessee’s citizens. Radon is a dangerous gas responsible for the deaths of more than 21,000 people each year in America. Tennessee Radon Program: The Only Way To Know Is To Test; 1st Choice Home Inspections, PLLCAccording to the Environmental Protection Agency, Tennessee has high levels of radon gas under its soil (see our chart). As much as 70% of Tennessee’s population lives in a danger zone. This deadly gas rises from the ground using any available route, and may enter homes through openings as small as pores in the slab. Nationally, about 6% of the homes tested have excessive levels inside the house. In Tennessee, test results indicate that dangerous levels have been found in 75% of the homes tested in some counties! Prolonged exposure to this gas is likely to happen inside a building, since it can accumulate there. More often than not, this exposure takes place inside a residence. If your home is in a radon danger zone, the only way to know if your house is safe for habitation, is to have it tested. Any time of the year is an acceptable time to test for radon. However, during the winter months, warm air inside a house draws cooler air into the home from below, often bringing radon gas with it. While radon may be present year round, it is more likely to be elevated from October to March when the weather is cooler. Open doors and windows skew test results and sometimes prevent an accurate reading. During the winter months it is more likely homeowners will have their doors and windows closed. In a nutshell, winter is the best testing period because the conditions for radon to be present in a home are at its peak. In addition, testing can be completed more easily without interference from outside air. 1st Choice Home Inspections of Knoxville and Nashville performs radon tests year round. Using state-of-the-art, professional, RadStar Continuous Radon Monitoring units, we monitor the home for a minimum of 48 hours, according to EPA standards. By law, electronic detection equipment must be calibrated annually to certify that it is working properly. 1st Choice Home Inspections’ detectors are calibrated and certified accordingly. Ask your inspector for his or her annual calibration certificate. If he/she can’t produce it, don’t trust the equipment. A continuous monitor detection unit is placed inside the home at the lowest level (often in the basement) and remains there for at least 48 hours. The testing unit takes a reading of the air inside the building every hour (some radon detection units can record when a window or door has been opened). It is important that the doors and windows remain closed for the duration of the testing. While it may be impractical to keep all the doors closed for the entire time in an occupied home, keep in mind that the frequent opening of doors may cause the test to be inconclusive. After the 48 hours of readings have been completed, one of our home inspectors retrieves the detection unit and downloads the information. This data is then uploaded to the lab for analysis. The lab issues a report indicating the level of radon in the building and forwards that report to us. If the report returns a radon level of 4 or more, the home is considered to have an unsafe level and mitigation needs to be carried out. 1st Choice Home Inspections of Nashville & Knoxville charges between $100 to $150 for a radon test when added onto a home inspection. When ordering a standalone radon test, the price is between $225 and $300. 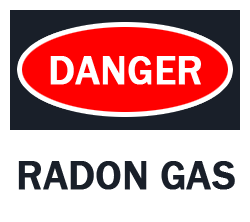 For more information about radon and health problems, please follow the links below. 1st Choice Home Inspections is available six days a week for radon testing in Nashville and Knoxville, Tennessee. We are licensed by the state of Tennessee and trained to perform tests utilizing electronic equipment. If you have any questions or would like to schedule an appointment, please call us at our numbers below.